At 8 p.m. last night, Parks Canada killed a yearling female wolf near Lake Minnewanka for what was described as “bold behaviour,” after the wolf repeatedly got into garbage left out by campers at the Two Jack Lake campsites and overflow campsite. So to be blunt: WTF is going on in Banff? Today, we can look back and clearly see which direction the Parks Canada Agency has taken from that crossroads with our beloved Bow Valley. Few recommendations from that report have ever been implemented and there is hardly a piece of the Bow Valley that is now not much worse off than it was twenty years ago in terms of ecological integrity and protection. Rather than ramp up protection for the habitat and the wildlife in the valley, Parks Canada has instead ambitiously and blindly pursued an increase in tourism and visitation while simultaneously decreasing funding and staffing. In short, Banff National Park, the crown jewel of the Canadian national parks system, is now critically underfunded, understaffed, under protected and over visited. The staff on the ground are being worked to the bone, bleeding their souls back into the park; but at this point, they're fighting a losing battle. Every action they take is reactionary, not precautionary, because they simply don't have the manpower or the will from Ottawa to truly take charge of the situation and right the ship. Peter Dettling warned of the pending storm in his book, The Will of the Land. So too did Gunther Bloch in my book with him this past July, The Pipestones: The Rise and Fall of a Wolf Family. But frankly, so too did the Bow Valley Study twenty years ago. Perhaps it's finally time to start to question whether Banff National Park is still our crown jewel. Is it even still worthy of being included in UNESCO's world heritage sites? How has our national park failed so miserably? 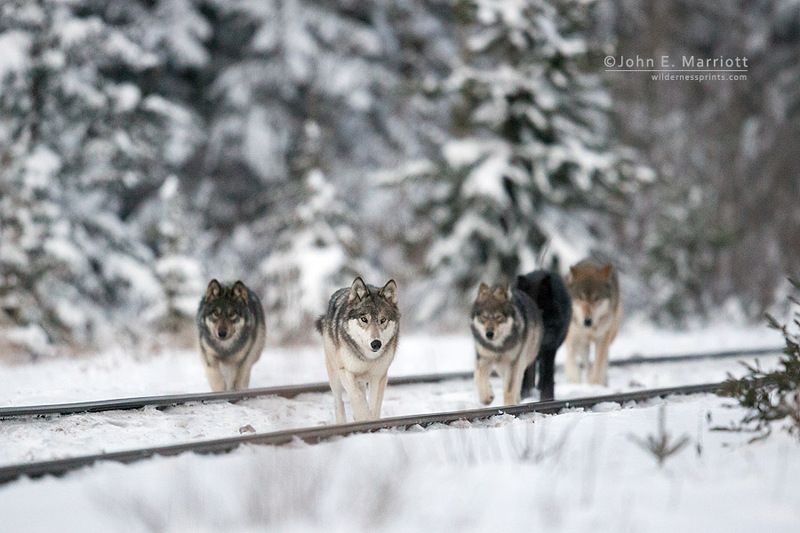 In recent weeks, the Banff Town wolf family has been “accidentally” and intentionally fed, trapped, collared, killed by Parks Canada staff, and killed by CPR trains. What started as two wolves meeting in the valley for the first time in the winter of 2015 -- having three pups in 2015, then having six more pups in 2016 -- and heading into this spring as a family of 11, has completely disintegrated into a limping male, two yearlings (including one that's also on a death watch for getting into garbage) and maybe, if we're lucky, one or two surviving pups, though no one really knows at this point. Yes, Parks Canada has increased information patrols, public outreach, and citations. But it's yet another case of way too little, way too late. Our species has proven that we cannot be trusted, whether through true ignorance, laziness, or disrespect, it doesn't matter, we cannot be trusted and so the privilege [of camping in Banff] should be removed. There is nowhere else for these animals to go, this is their home. Outside the park they can be poisoned, snared, hunted 10 months of the year, shot from the air, and trapped -- and inside the park....well, it seems they cannot live safely there either.